Salisbury Brick Co. was one of the first businesses in Salisbury, MD, opening its’ doors over 100 years ago in 1896. Throughout the years, Salisbury Brick Co. has remained a family business. The current owners, the Hastings are the fourth family to operate this timeless company. On any given day, you can find David Hastings on site. It is part of their mission to maintain the family feel, as the team at Salisbury Brick Co. believes in community, buying local and providing quality service. Customers also know that this group works as a team, and combined have over 100 years of industry knowledge in everything from concrete to working masons. Therefore, they know how to choose the quality products that they sell. 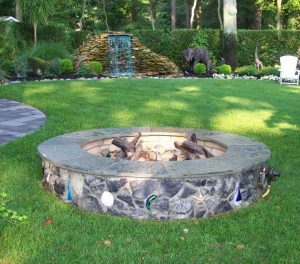 At Salisbury Brick Co., we customize your experience to serve your needs. When you come to Salisbury Brick Co., whether it is for a residential or commercial project, we want you to be more than just another customer. We want to understand your plans, walk with you through our showroom and offer our knowledge. From there, we have resources, brochures and displays that will help you make your selection. We also have some material in stock, which means you can touch and see certain products we offer. To help you compare to other material selections for your project, we are able to provide/order samples to take home. We look forward to working with our customers, both new and returning. Residents of Wicomico County, MD and Sussex County, DE call on us for help, and we hope you will too. Contact Us today.